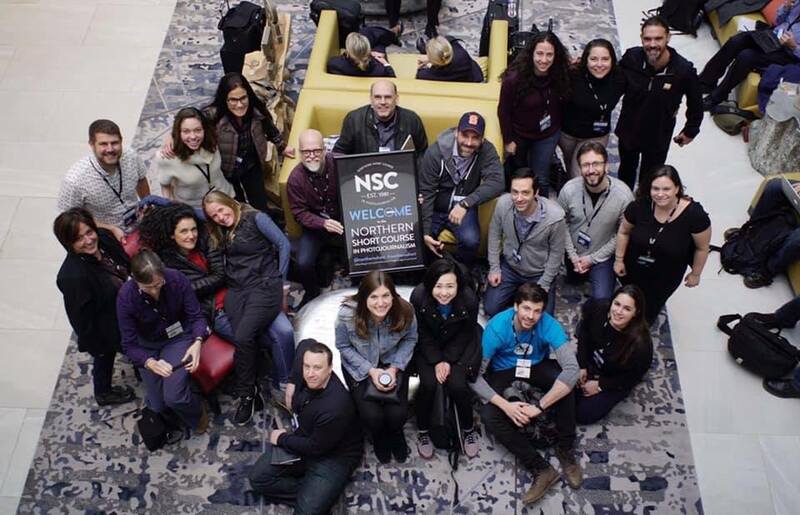 What a weekend ... a millions thanks to the Northern Short Course in Photojournalism (especially those who work year-round to make it happen and to the many volunteers) for bringing together such an incredible community of people. 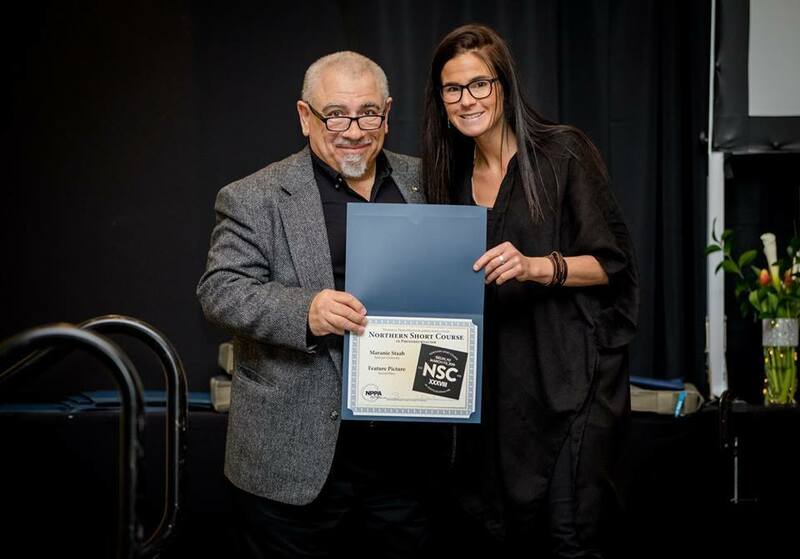 It was wonderful to see old friends, make new friends and to also have work that has been and continues to be close to my heart recognized. Until NSC 2020 ... may be all have a safe and productive year. 2018 passed in one long, beautiful blink of the eye. It's been a while since I last wrote and I’m keen to share a few highlights with you. I spent the month of March in Vietnam, the first half with a group of American Veterans, documenting their first return trip to the country since serving in the war and the latter researching the generational legacy of conflict as seen through the ongoing effects of dioxin (Agent Orange). Nearly six decades after the launch of Operation Ranch Hand, second- and third-generation Vietnamese are still suffering the debilitating effects of Agent Orange, and the births of an afflicted fourth generation are being reported. In July I packed up my life in Pittsburgh and moved to Syracuse, New York. Graduate school was never part of the plan, but I was fortunate to receive the first Ed Kashi Fellowship to attend Syracuse University, where I'm currently pursuing a Master’s degree in Visual Communications. Having wrapped up my first semester, I look back on those first six months as some of the most challenging yet rewarding of my life. We are not always granted peace with our decisions but being at Newhouse has felt “right” since day one. I've had the opportunity to push pause on the often hectic freelance life and immerse myself in all things visual, amidst a talented and dedicated community of similarly-minded people. Self-taught, I’ve never had this type of immersion and could not be more grateful as I continue to learn about myself and the craft. My first assignment was a self-portrait; I was and continue to be drawn to the cemetery near my house. 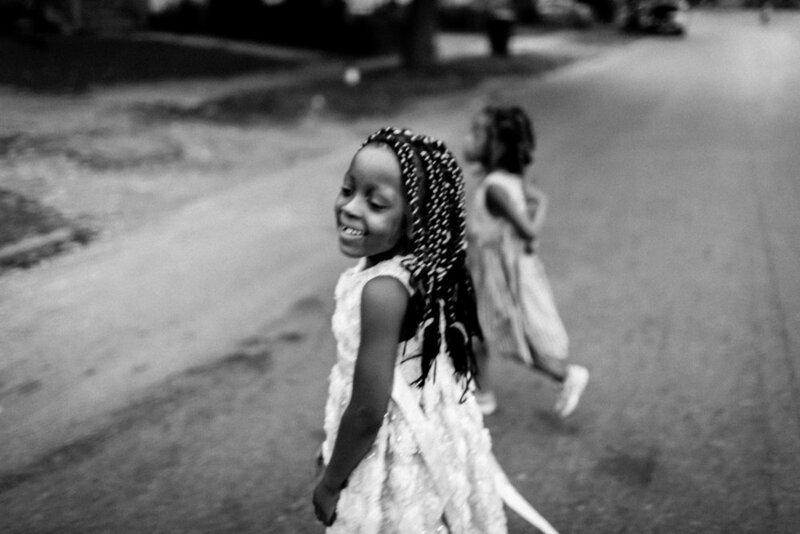 One of the most meaningful connections I’ve made in Syracuse is to a little girl, 6 years of age. 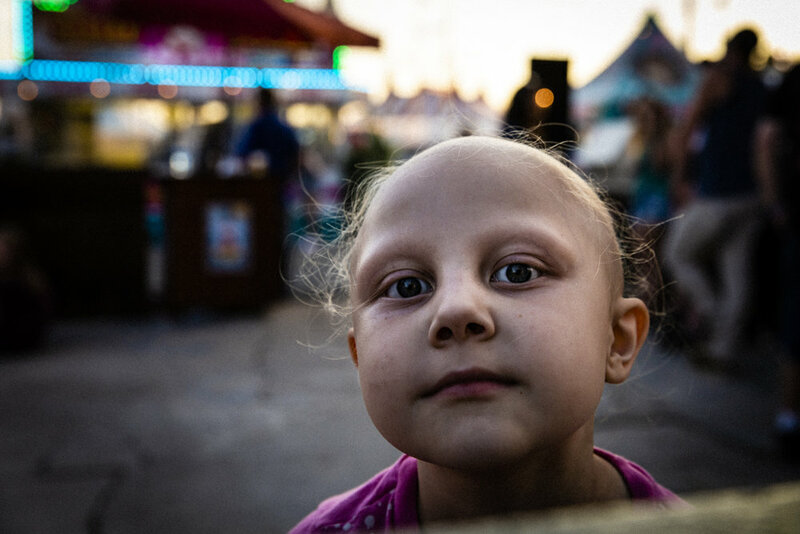 I met Kaylee less than a month after moving to Syracuse, and spent weeks taking pictures of what I thought was a story of a little girl’s battle with childhood cancer. 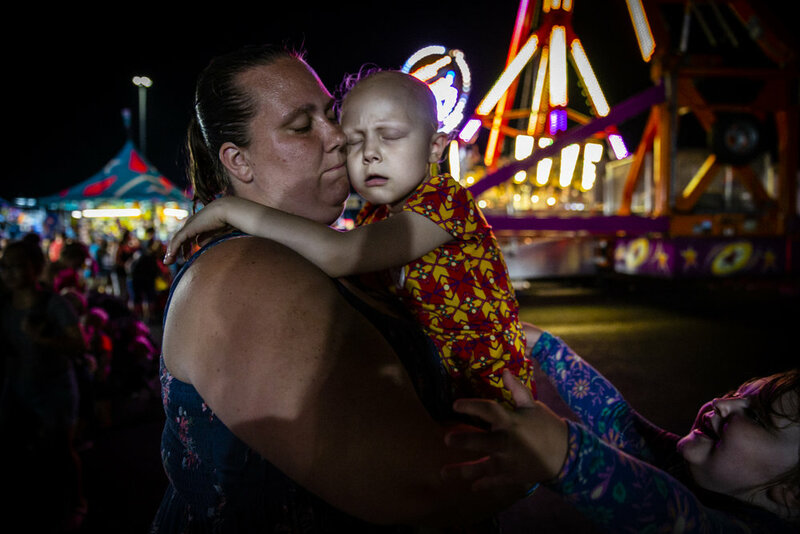 Several months later it became evident this was not "just" the story of a child with cancer but rather one of family dynamics as they navigate Kaylee's diagnosis, treatment and life once declared cancer-free. Spending time with Kaylee has taught me the value of long-term work, and has made clear that time and establishing trust are perhaps the most important elements in creating intimate images. The more time I spend with Kaylee and her family the more I understand the importance of both. the first is about Kaylee and the other is about, but also for, my mother. The Atlantic published my images from Mosul in a piece detailing the civilian death toll in the fight against ISIS. I returned to Pittsburgh for an exhibition showcasing work done in partnership with Neighborworks and was recently invited to participate in a group exhibition on the documentation of forced migration. Airwars, a non-profit transparency project and authority on the effects of conflict violence on civilian communities utilized numerous images to illustrate their ongoing work in Iraq. I spent my winter break working and living in Bajed Kandala, a Yazidi displacement camp in Iraqi Kurdistan, a few miles from the Syrian border. I went with a desire to better understand—who was this persecuted ethno-religious minority beyond the often simplistic narrative of a community largely reduced to their victimhood? 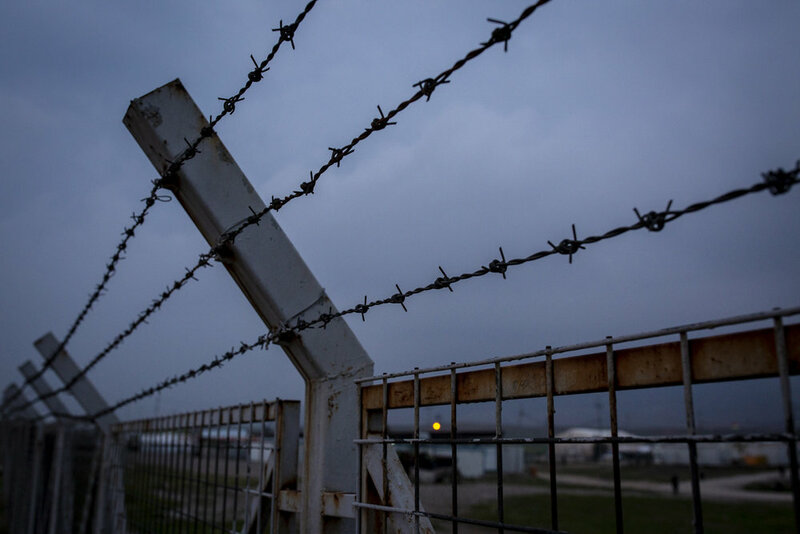 Beginning with an attack by the Islamic State in Sinjar, Iraq, on August 3, 2014 the most recent data asserts that nearly 9,900 members of the ethnic and religious minority were killed or captured in a matter of days. Today, more than four years later, nearly 200,000 Yazidis remain displaced; of that, approximately 9,000 call the Bajed Kandala camps home. I went as a volunteer with Joint Help for Kurdistan, an NGO with an all-volunteer staff comprised of displaced Yazidis that live within the camp. The JHK team serves their community during the day and returns to their tents at night. Can you imagine being confined for over four years to a place whose perimeter you could walk in less than 30 minutes? A fenced enclosure, the Bajed Kandala displacement camp has limited entry and exit points ... when this little lady opted to cut loose for a bit I could hardly blame her. As I watched her run off I found myself thinking how rarely I recognized the privilege of my own freedom. One of the many consequences of displacement--whether due to conflict, poverty, environment, politics or other--is the disruption of education for children and young adults alike. While in Mosul last year I remember meeting men and women, similar in age to myself, who had no choice but to abandon their studies when ISIS took hold of the city. For the Yazidis displaced from Sinjar in August 2014, the story is similar: despite efforts from NGOs and individual volunteers, education halted as people were forced to flee, and has yet to resume the regularity or attendance that existed in Sinjar. In the Bajed Kandala camp only one school operates and the majority of educational efforts are being made by volunteers and other displaced Yazidis living within the camp. A Yazidi Wedding: The marriage of Amera and Samir took place just outside the Bajed Kandala camp. Several hundred from the community attended the traditional celebration, dancing throughout the day and evening. 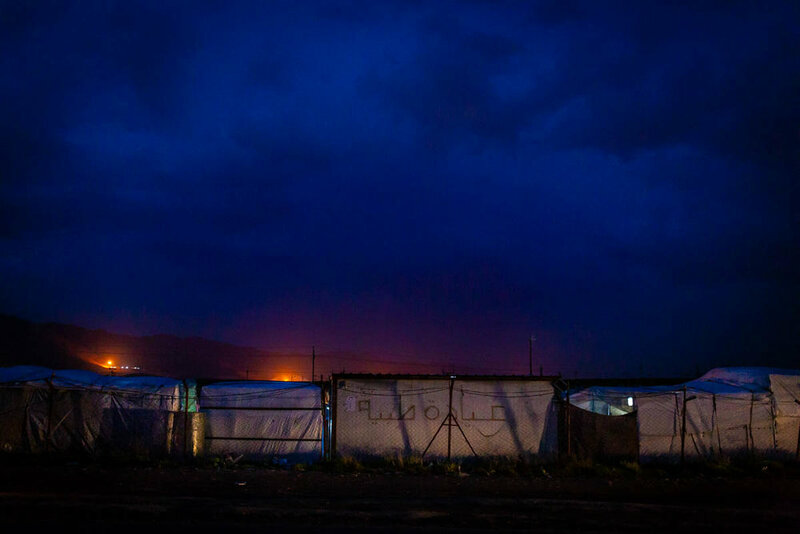 When night fell everyone returned to the camp and tents they've called home since 2014. 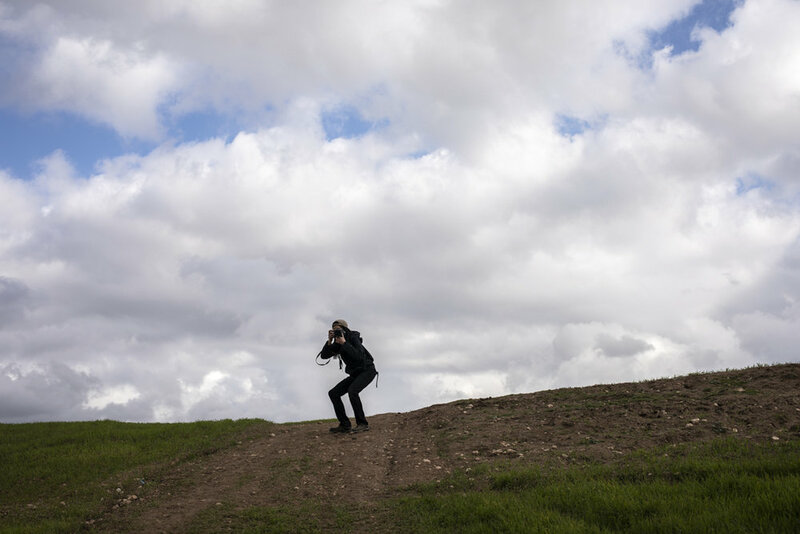 The most rewarding aspect of my time in Kurdistan was teaching a photo workshop to a group of young women. Over the course of several days we covered photo basics and focused on the importance and validity of their own, unique way of seeing the world. It is one thing for me to take pictures of a community; it's another to empower those in the community to participate in constructing their own narrative. Due to a gracious donation I was able to travel with a printer and we held a modest exhibition of their work. It may be difficult for many to imagine holding a photo print for the first time but for these young women it was magic--to see their eyes light up and shine with renewed confidence was priceless. I left Syracuse on Christmas Eve, bound for Kurdistan, uncertain of what the coming weeks might bring. In just shy of a month Iraq shared with me much of its pain as well as its beauty. I was welcomed into the lives of many and witnessed examples of hope and resilience by those who’ve suffered immensely. Perhaps it is this contrast, as well as a lack of nuanced understanding of the country, that continues to draw me back. It’s my third consecutive year spending time in this part of Iraq, and if stars and finances align, I'll return again this summer. Back in Syracuse, I’ve started to go through several thousand frames and struggle for the right words, should they even exist. A density and intensity of experience is had when in such a place and it’s a bit like whiplash when one returns to a society of comfort, excess and relative disconnect. When that feeling subsides though what remains is profound perspective and renewed appreciation for the life and opportunity I have -- it’s a privilege to be a witness and it's more important than ever we continue to tell the stories that matter, whether they be in Iraq or our own backyards. For those interested in more recent work and following along, please find me on Instagram & Twitter. Wishing everyone a peaceful 2019—may this be our collective best year yet. 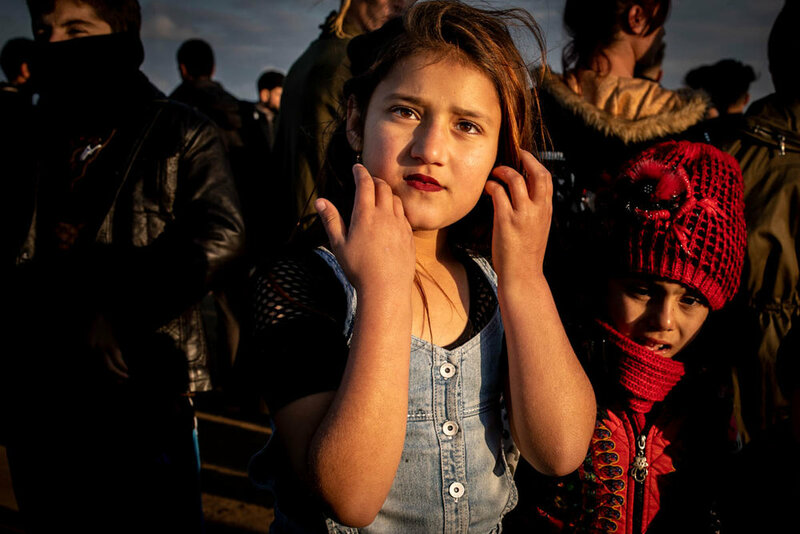 Displaced from Sinjar, Iraq, when she was five years old Nahida has spent the past four years living in a tent in the Bajad Kandala displacement camp in Iraqi Kurdistan with her mother and five siblings. Her father stayed behind in 2014 to fight ISIS and they have not heard from him since. The family hopes to be resettled to another country, but the process for resettlement is long and arduous and they have not received word of progress with their application in nearly a year. One day Nahida wishes to be a school teacher. Ferman, which translates to “genocide” and his sister Madrid play while I interview their mother, Nadine, in the family’s tent within the Bajed Kandala Yazidi Displacement Camp near the Iraqi-Syrian border. 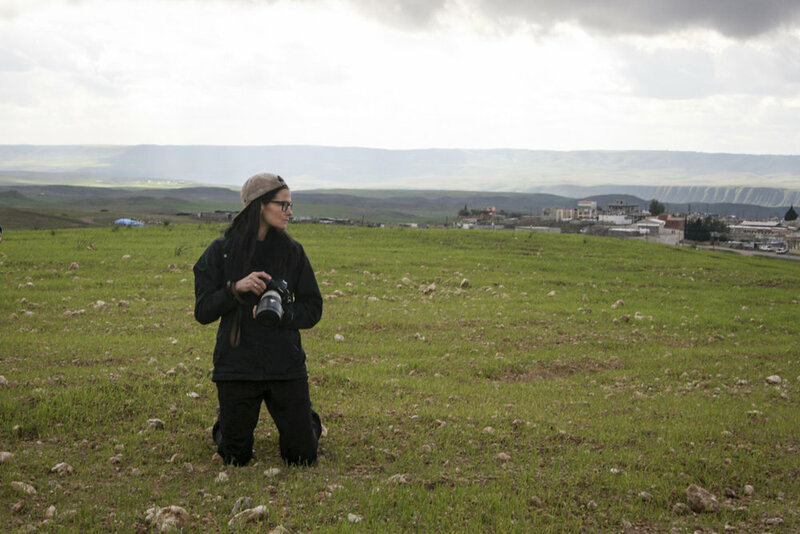 Nadine was pregnant when she and thousands of others were forced to flee their home Sinjar when ISIS attacked the city with the goal of eradicating the Yazidi population. 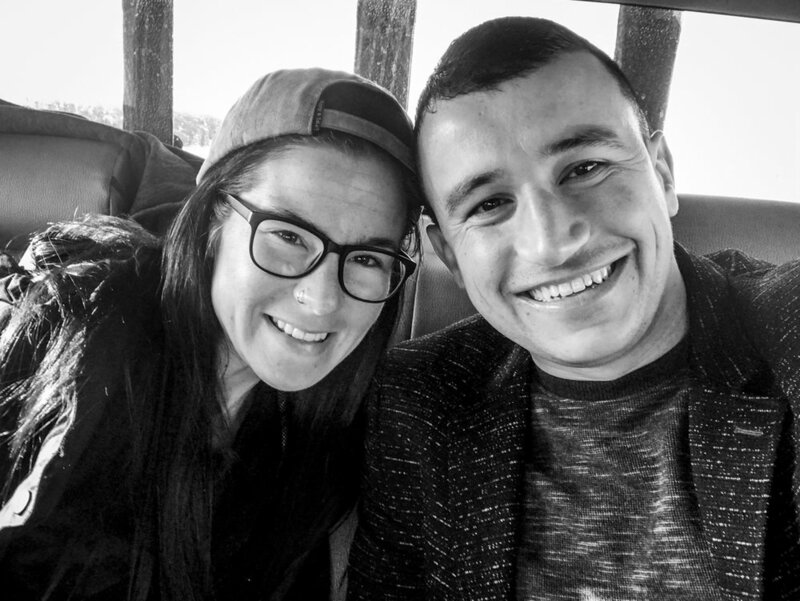 Born shortly after arriving to the displacement camp in August 2014 Nadine named her son to commemorate the ongoing persecution of the Yazidi population. Sitting in New York now, as it’d be, I’ve started to go through the several thousand frames from the past few weeks and struggle for the right words, should they even exist. A density and intensity of experience is had when in such a place and it’s a bit of whiplash when one returns to a society of comfort, excess and relative disconnect. I left Syracuse on Christmas Eve, bound for Kurdistan and uncertain of what the next several weeks might bring. It's just past 5AM in Erbil and as I pack up the last of my things I look back on the past few weeks and it is bittersweet, only because I am just not quite ready to leave. In just 3 short weeks I had the privilege of being allowed into the lives of countless people, was witness to a traditional Yazidi wedding, was inspired by the 14 and 15 year-old young women in my photography course and humbled daily by the grace and generosity of all those I met. As is always the case, I’ve learned and gained more than I might ever hope to give. Thank you to everyone who touched my life, especially the JHK org team. . I look forward to sharing more about this community and the individuals I met. The road that dissects Bajad Kandala 1 and Bajad Kandala camp 2 is known as the deadliest in Kurdistan. 24 hours a day and throughout each day of the week tanker trucks can be seen plowing down the narrow two-lanes highway that connects Kurdistan with Turkey. The trucks are near always carrying oil from one locale to the other. Over the course of the past four years that the camp has been open over 20 persons have died while trying to cross between the two camps. I’ve several days yet remaining in Kurdistan but the reality of me leaving to return to my comfortable life is starting to crystallize. Those who’ve allowed me into their lives—many of whom I now call friends— will remain here, their futures but a question mark. I’m buoyed by the strength and the resilience I’ve witnessed while simultaneously being saddened and infuriated by the injustice. A little bit of light, shadow and moment in the Shariya Yazidi displacement camp outside of Dohuk, Iraqi Kurdistan. When the #yezidi community from Sinjar was forced to flee from ISIS in August 2014 the education of thousands of children and young adults was disrupted. Today, in the Bajad Kandala camp in Iraqi Kurdistan some NGOs and a host of Kurdish volunteer teachers are working to aid in education efforts. 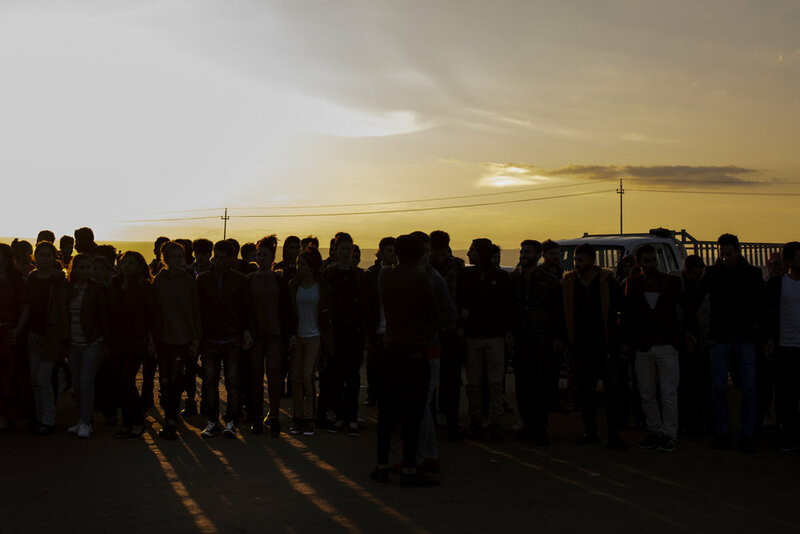 Though classes are only for a few hours several days a week if one is to walk through the camp they will see children and young adults studying in their spare moments, many working to learn English, all doing so in the hope of finding a good job. Can you imagine being confined for over four years to a place whose perimeter you could walk in less than 30 minutes? A fenced enclosure, the Bajad Kandala displacement camp has limited entry and exit points ... so when this little lady opted to cut loose for a bit I could hardly blame her. As I watched her run off I found myself thinking how rarely I recognized the privilege of my own freedom. In just the past week Iraq has shared with me much of its pain as well as much of its beauty. I’ve been welcomed into the lives of many and been witness to examples of hope and resilience by those who’ve suffered immensely. As I welcome in the new year (my first new year here ) I’m reminded that it’s a privilege to be a witness—I’m grateful for this life and wish for little more than to continue on this path. .
Dusk falls following the Yazidi wedding of Amera and Samir outside the Bajad Kandala displacement camp in Iraqi Kurdistan. Several hundred from the Yazidi community turned out for an afternoon and evening of celebration — after which they returned to their tents. All are displaced Yazidis from Sinjar and have been living in the camp since the August 2014 ISIS siege that left thousands dead, thousands captured and that still today leaves tens of thousands unable to return to their homes. 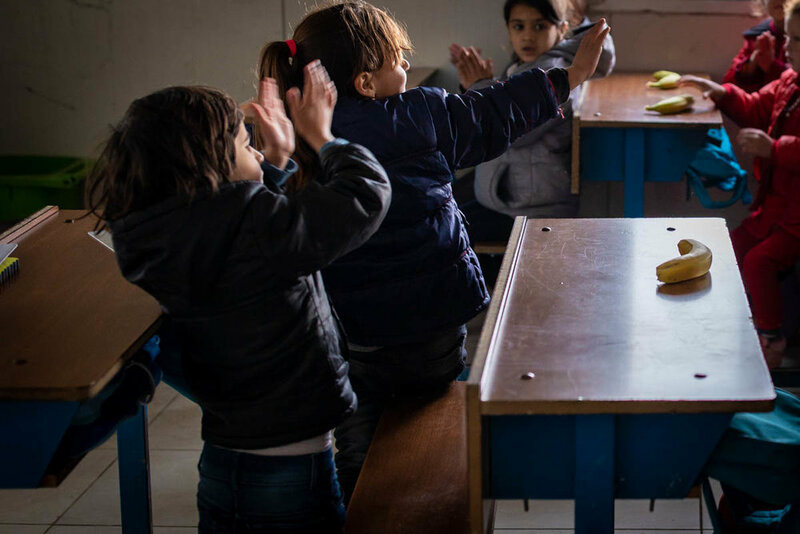 One of the many consequences of displacement—whether it be because of conflict, poverty, environmental, political or otherwise—is the disruption of education for children and young adults alike. While in Mosul last year I remember meeting young adults, similar in age to myself, who had no choice but to abandon their studies when ISIS took hold of the city. For the Yazidis displaced from Sinjar in August 2014 the story is similar — despite efforts from (some) NGOs and individual volunteers, education halted as people were forced to flee and has yet to resume the regularity or attendance that existed in Sinjar. 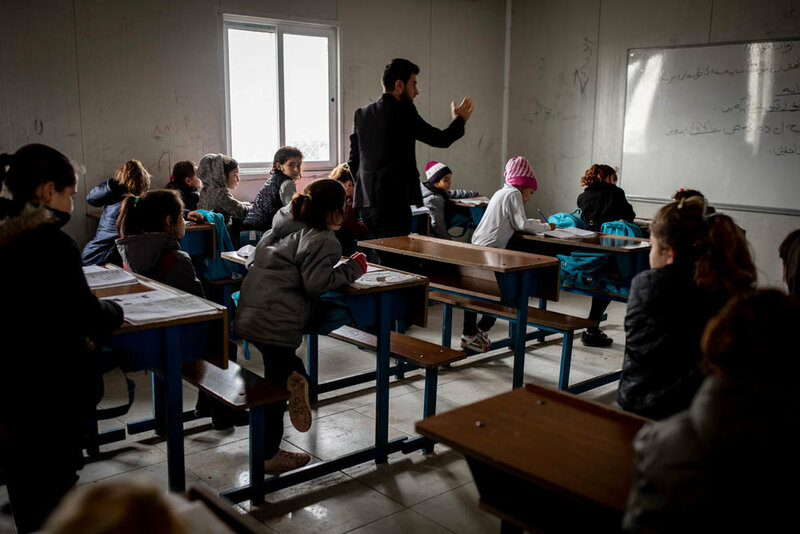 in the Bajad Kandala camp in Iraqi Kurdistan one school operates and the majority of educational efforts are being made by volunteers—other displaced Yazidis living with the camp. A Yazidi elder observes the wedding ceremony of Amera and Samir, a young Yazidi couple married yesterday just outside the Bajad Kandala displacement camp in Iraqi Kurdistan. Both the bride and groom—as well as the several hundred from the Yazidi community that attended— have lived in the camp since he 2014 ISIS siege on Sinjar.